This morning, a simple question from a food blogger friend, Shareba Abdul (In Search of Yummy-ness), got me to thinking. ‘What do you do to prevent blogger burnout?’ It’s not as strange a question as you may think. Ask any blogger this question and they can tell you that what you see on their website is not always ‘true to life’. When all you see on the blog is great recipes and photos of perfect meatloaves and cinnamon buns, you (the reader) get a skewed idea of what blogging is really like. Blogging takes a lot of time and pre planning; it’s about forging a bond with readers and other bloggers and that means a lot of time spent sharing the love on social media. I wish I would have known this when I began this blog, back then my intentions were so pure… I just wanted to make food and share it! Since then, I’ve realized that blogging is often a lonely job and connecting with others in person and through networking is important to have a successful blog, but also for my own sanity as well. Regular readers may have noticed a bit of a lull in purely Dish ‘n’ the Kitchen food related posts recently. Truth be told I’m in a bit of a crazy time right now. I’ve had my head down and bum up for the majority of September, busily attending local events and doing a little food writing on the side. There’s football and regular visits to the Children’s Hospital in my family life. I love being involved, but as someone who doesn’t really manage her time that well…this ‘busyness’ has left little time for quiet moments of pure inspiration. Inspiration. It’s another key to any happy blog ecosystem (in addition to connecting with others), for without it blogs can run the risk of becoming another site of recipe regurgitation, or the means to a different purpose other than what they were created for in the first place. I don’t mind developing recipe content for a product (and I actually loved the challenge of the recent Reese’s post I did), or talking about upcoming events (like Oktoberfest and Christmas in November) but when I haven’t been cooking and sharing in a while…I get itchy fingers! I get ants-y because I just want to cook. So today I dropped all the projects on my ‘to do’ list and made doughnuts. Seriously the best idea anyone has ever had for a doughnut flavour. Boil the cider in a small saucepan for about 5 minutes, until reduced to a syrupy 2 tablespoons. Set aside to cool. Meanwhile, in the bowl of a stand mixer fitted with the paddle attachment, cream together the butter and sugar. Drop in the egg and mix well, and then add the flour, baking powder, baking soda, cinnamon, nutmeg, and salt. Mix until just combined, scraping down the sides of the bowl with a spatula every so often. Drizzle in the reduced cider and the buttermilk, and mix until just combined. The dough should hold together, but still be on the sticky side. 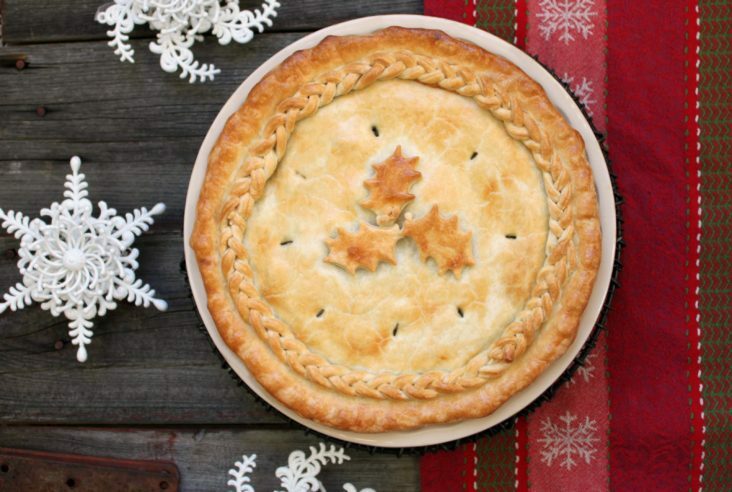 Scrape the dough onto a sheet of parchment paper and put another sheet of paper on top. Using a rolling pin, flatten and roll the dough until it’s 3/8 to 1/2 inch thick. 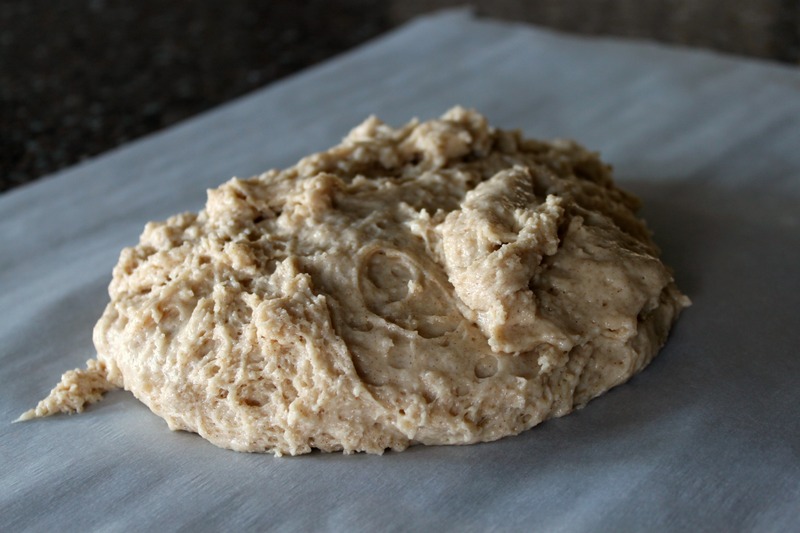 Put the dough in the refrigerator and chill for 30 minutes to 1 hour, until it no longer clings when you try to peel off the parchment paper. 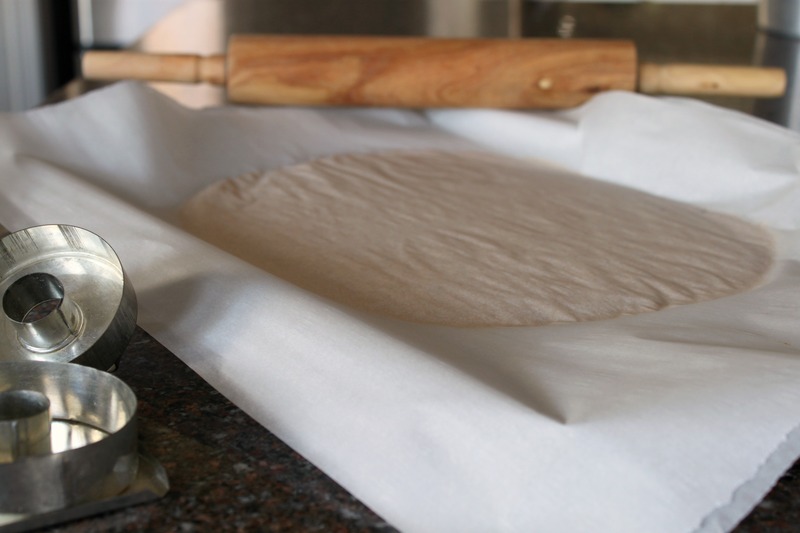 Peel off the top sheet of parchment paper and flip the dough onto a floured work surface. Remove the second sheet of parchment paper and dust the dough with flour. 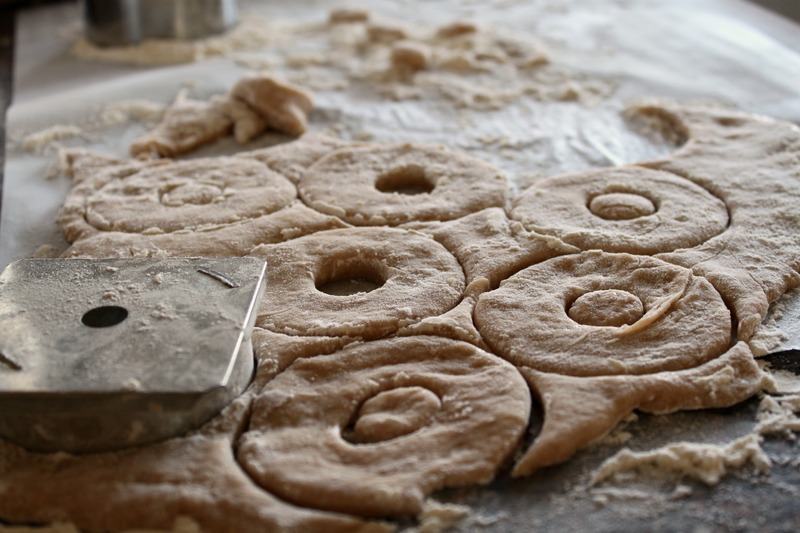 Using a floured biscuit or doughnut cutter, cut the dough into 2 1/2- to 3-inch tubular rounds (or another shape of your choice) and put them on the flour-dusted baking sheet. Fry the doughnuts in batches, taking care not to crowd the pot, until golden brown all over, 1 to 2 minutes per side. Drain on the paper-towel-lined baking sheet. 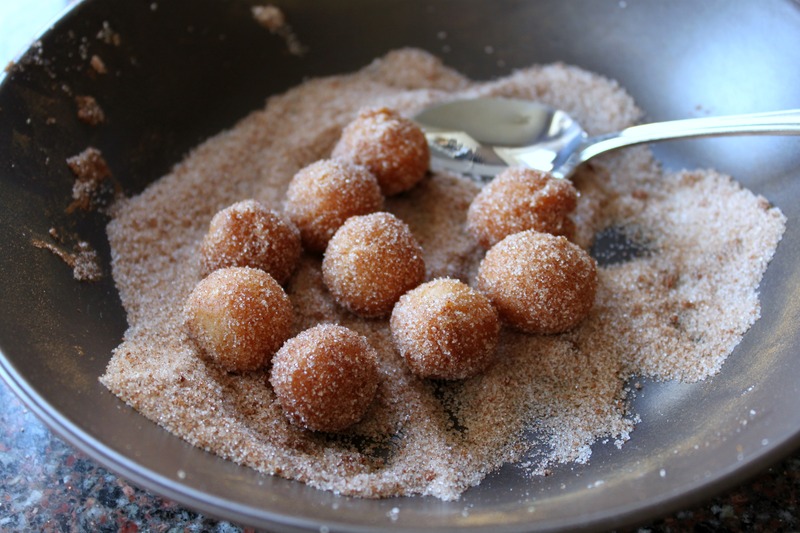 Don't forget to fry the little doughnut holes! Toss them in the cinnamon sugar. Of course, sometimes first time recipes do not always work out perfectly. There are a number of reasons why these doughnuts were not really something I would usually put on the blog but I like the idea of them so much that I will revisit the idea of an Apple Cider Doughnut at a later date. I guess it’s also kind of funny when you think about what I mentioned earlier..these doughnuts look fabulous but they really aren’t. 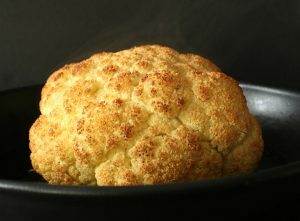 I think it’s important to be truthful to my readers rather than just offer pretty pictures of recipes that are crap! the dough, even after it sat in the fridge for 45 minutes still stuck to the paper. I had to scrape it all off and re roll the dough using a lot of extra flour. the doughnuts turned out quite greasy; I think 350 F was not the proper temperature for frying the doughnuts. 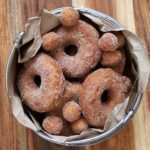 Do you have a ‘no fail’ doughnut recipe that you can share? Aw thanks Lenny! Have a super weekend. Got to really learn these tricks of blogging!! 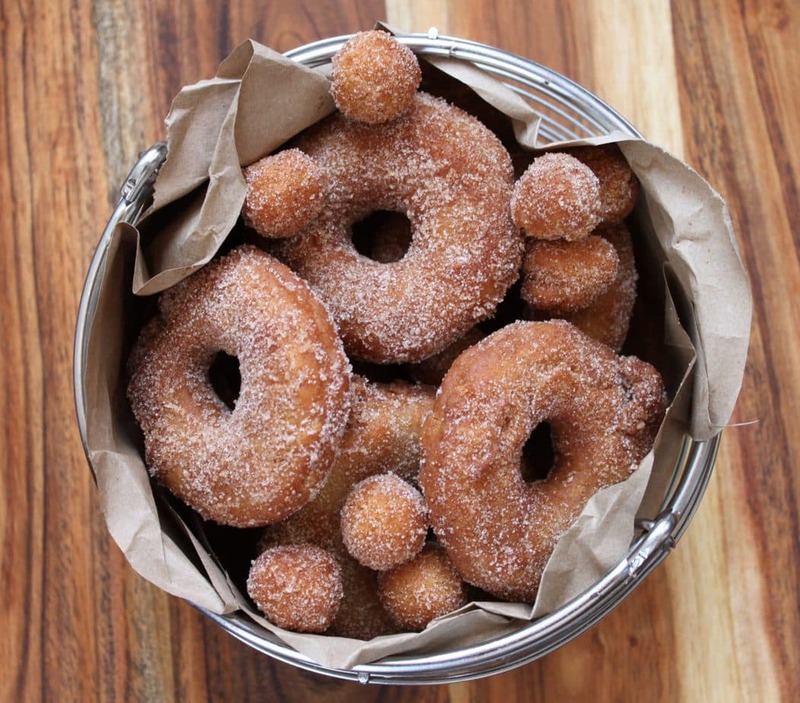 Love the look of these donuts, especially coated in cinnamon sugar!